Tamil Nadu is situated in the extreme southern part of India. Some of the key industries in Tamil Nadu is cotton, heavy commercial vehicles, auto components, railway coaches, power pumps, leather tanning industries, cement, sugar, paper, automobiles, and safety matches. The state is also known for various educational institutes. Chennai is the capital of Tamil Nadu. There are huge commercial giants in this state, creating employment opportunities for young professionals. This gives the rise to the disposable income and hence the aspirational level. The number of people opting for a personal loan in Tamil Nadu is on the rise. But along with this the complication and hassle to get one are faced too. That’s the reason the millennials are opting for a quick loan. What is a quick loan? It is a short term loan which one can take for a small amount of money with minimum documentation. If you compare these with the traditional bank loans, these are very convenient to get. Plus the application process is short and involves quick approvals. Everyone can apply for a personal loan in Tamil Nadu as long as you are a salaried employee of a registered company. You should belong to the age group of 23 years to 58 years old. To get a short term loan, download the quick loan app like CASHe on your smartphone from google play store or apple app store. The registration will take barely 5 minutes. Enter the amount as per your loan requirement. You can take a loan of INR 10,000 up to INR 2 lakhs. Remember that your eligibility will depend on your monthly income. You can select the loan duration which can be 15, 30, 90 or 180 days. When you apply for a personal loan in Tamil Nadu you need to submit certain documents to complete the process. You don’t have to visit any physical branch or bank, you can simply upload it from your smartphone. For a short term loan, you will need your identity proof, address proof, and income proof. Documents like Pan Card, Aadhar card, Passport, Driver’s license, Utility bills, Bank statement, and Salary slips will be required. Submit your request for the quick loan app and complete the process. The short term app normally takes some time to review the loan request. You can check your request status on the app. If your documents are in line with the requirement of the app, your loan request will be approved quickly. The app will notify you. The loan is then instantly transferred to your bank account. If you ask why do young professionals prefer personal loan in Tamil Nadu via a quick loan that is because they provide instant approvals. The short term loan is disbursed in your personal savings account within a few minutes of the approval. The interest rates offered are very competitive. You don’t have to fill any lengthy forms. Plus the repayment process is much easier. 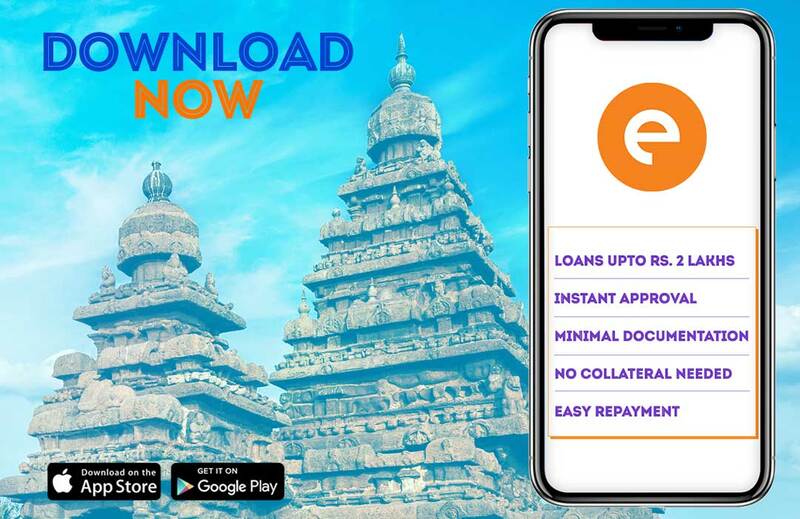 You can take a personal loan in Tamil whenever you wish to as you can access the quick loan app 24/7 online. What is the Eligibility Criteria for Instant Loan?